A helicopter that had previously been involved in two separate, non-fatal accidents crashed near Lake Larch during a logging operation in the city of Oso Tuesday morning, resulting in the pilot being hospitalized for injuries he suffered in the crash. A spokesman for the Federal Aviation Administration (FAA) told reporters that the helicopter was lifting cedar blocks during as part of a logging project in the Skagit County town when it went down. An unidentified 63-year-old man was the pilot and sole occupant of the helicopter, and he was airlifted to Harborview Medical Center in Seattle to be treated for his injuries. "This is all of the preliminary information I have on an aircraft accident that occurred Tuesday near Oso, Wash. at approximately 12:00 noon PDT. This information is preliminary and subject to change. There was a helicopter accident Tuesday near Oso, Wash. The helicopter, N5225C, a Hughes 369, crashed while lifting cedar blocks. According to local authorities, there was one person onboard. Please check with local authorities for more information on the occupant. Both the FAA and the NTSB are investigating, but the NTSB is the lead agency. 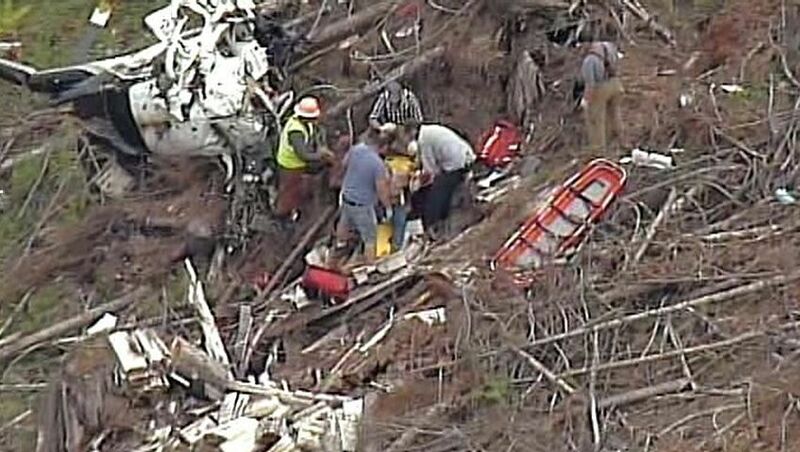 Neither the FAA nor the NTSB releases the names of crash victims. This is all of the information we have at this time." An official cause of the helicopter crash has not yet been determined or announced, as the FAA and National Transportation Safety Board (NTSB) continue their investigation into the incident. The Skagit County Sheriff’s Office is expected to collaborate with the FAA and NTSB to determine an official cause. What’s disturbing about this particular situation is that the NTSB has released records for the helicopter involved in Tuesday’s crash, which clearly document two seemingly preventable incidents that resulted in significant injuries to passengers on board and were determined to have been at least partly due to poor maintenance. In November 1996, the helicopter reportedly lost engine power during a logging operation in the city of Forks, resulting in substantial damage to the aircraft as well as serious injuries to one person on board. The cause of that incident, according to The Seattle Times, was fuel contamination that disrupted the flow of fuel and caused the engine to lose power. In 2003, the aircraft was involved in another collision after a fuel tank malfunction that failed to alert the pilot that the fuel tank was empty. That crash reportedly resulted in minor injuries to one person. If it is determined that Olympic Air failed to properly maintain the aircraft, the injured pilot may potentially be able to bring a claim against the company. It is particularly noteworthy that the company has a history of failure to maintain this individual helicopter, which could potentially play a significant role in establishing negligence and liability for the damages that resulted from the crash.